Remember that post I wrote about the tokens and the inflation (How to stay rich in WoW)? Well, it has been proved again that expectations and the will to buy things move markets. The US WoW token went from a median 169,000g to 241,988g, the highest we’ve had of all times. However, only the rise of the token doesn’t sound like something too terrible, after all, the token is expected to rise indefinitely. The outrageousness comes from this: It went from 171,990 to 195,388 in the blink of an eye and then IT CONTINUED rising until it reached a peak at 241,988. It all happened from December 20th to 21st. The token reached the highest peak in the early morning, started going doing again to 184,490g and it went down as I was writing this, giving me a final price of 156,128g. YES! Now the token price is lower than when it started going up, all of this in a matter of 24 hours! Crazy, right? People that farm gold and play the market have lots of gold, right? Well, one of my theories is that the expectation of it going up made them buy crazily at a cozy low price. Of course, they knew the Holiday Sale would come on December 21st! They bought tokens BEFORE it went up, so they could buy presents from the game store or simply sell the token to people that want to buy stuff. 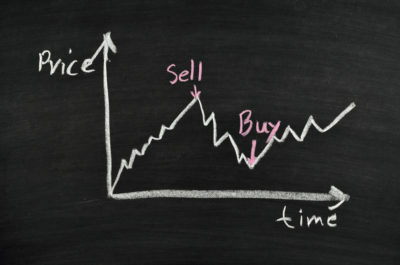 However, one important reason is to prevent devaluation: people that know that the price is going up, will want to buy low in order to preserve their money, just as we talked before on the other article. Massively buying tokens affect the law of supply and demand: more people buying than selling offers made the price go up. And then, it may have freaked people out: “I have to buy right now because the price is going up”, therefore making it worse, just like a day in the stock market. “I need to buy something for my friend but I have no money IRL”. Having a positive Blizzard balance has its perks and this is one of them. For people that have no money, it’s a perfect way of giving something for Christmas without hurting the finances. And we could think about the people that actually sell the token for real money. The shopping frenzy is something that makes dents in economies (gratefully they’re not permanent), I mean, Black Friday and Christmas being the worst of them all. It brings out the best and worst of people. Holidays with mandatory gifts are a burden to our pockets and to our minds, “what am I going to give to my special one?” “It’s December 23th and I have nothing yet”. Things like that stress us out and this brings us to the two points from above: expectations and shopping frenzy. Have in mind that this was a huge sale: pets, games, expansions, mounts, a lot of stuff is on sale and the necessity of gifting something this Christmas is an urge too hard to ignore. However, everything went back to normal (more or less) just because the hype settled down and the urgency tokens were bought. You may have been wondering why I wasn’t one of these goblins. That’s because I expected that, and I told myself: wait a bit until everything calms down and buy before the 20th. That would be my advice to you, to anticipate yourself to every change, to every announcement, sales, whatever comes to Blizzard’s mind. I hope you guys have a great Christmas and happy shopping! Read another in-depth explanation of the wow token price fluctuation and how it affects your gameplay.